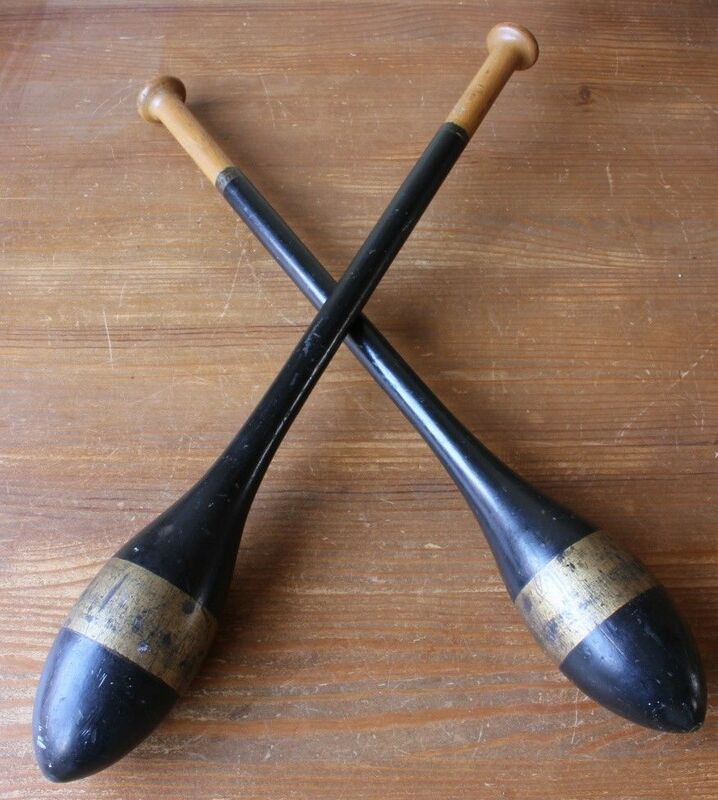 Victorian Black & Gold Indian Clubs / Wood Exercise Meels. c1890. 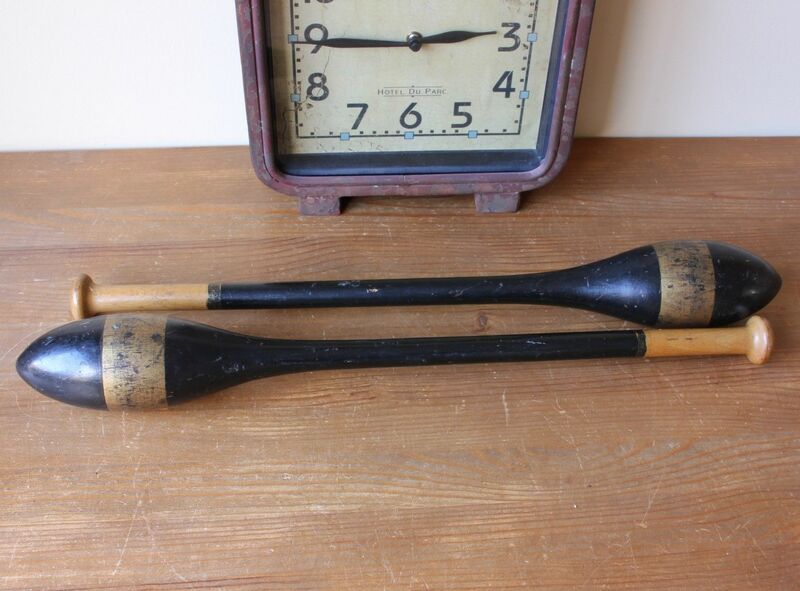 This wonderful pair of long wooden Indian clubs or meels which date from the late 19th century are very attractive having a black and gold original finish and both have the number 3 stamped on the tops. They are approx 370 grams each and are approx 52 cm - 20 1/2" in length. 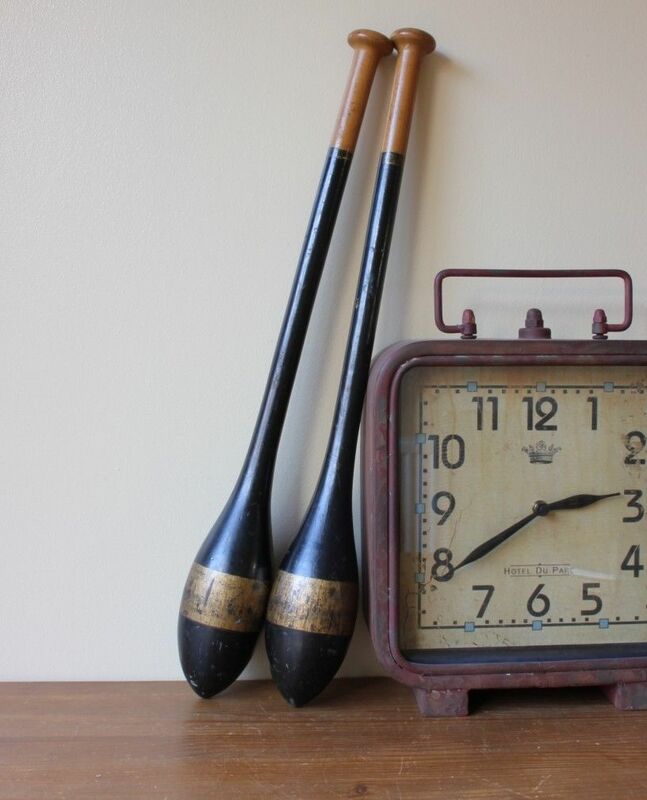 These unusual items of antique sporting equipment have an unusual black and gold original finish and would make fantastic decorative home or gym display items and super props. 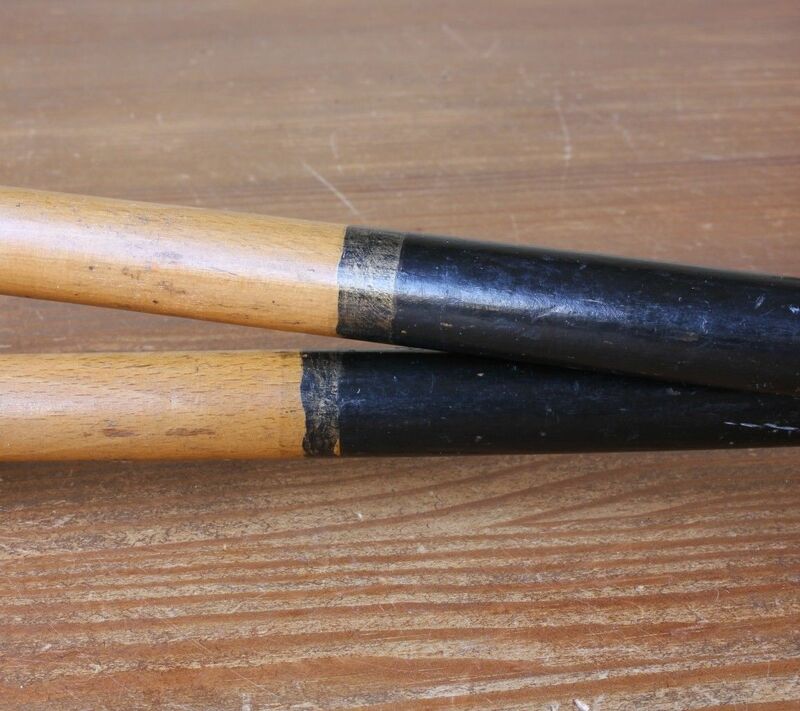 Indian clubs are a type of exercise equipment used for developing strength. 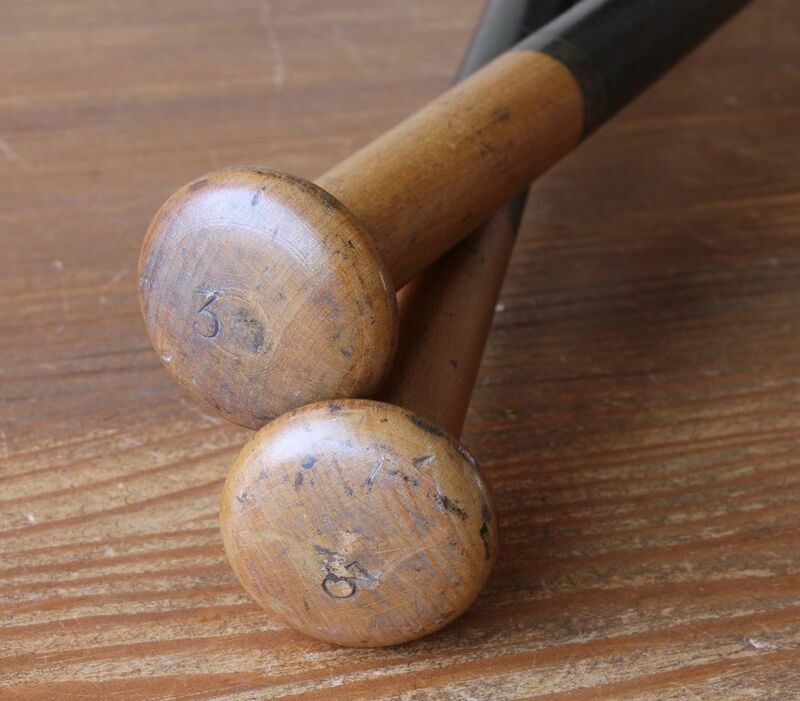 They were swung in certain patterns as part of an exercise program and were popular in the late 1800s and early 20th century. 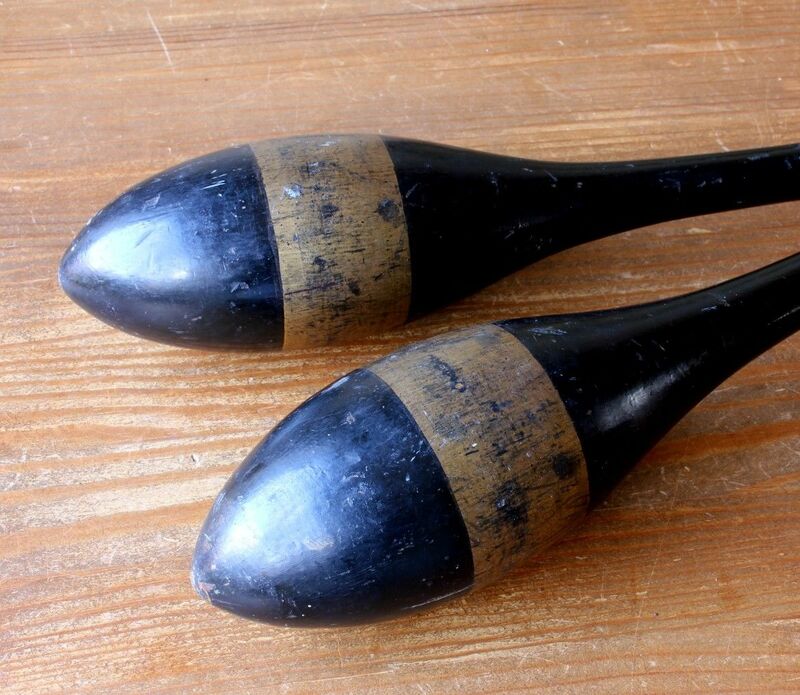 This pair are unusual as they have original black and gold paint. Weight: 377 g and 360 g each. Size: Approx 52 cm - 20 1/2" long. Condition. Very good vintage/antique condition with the usual chips, dents and wear to the original black and gold finish leaving a wonderful patina and have a great look. Interesting display items, home decor, or gym or decoration. Please see pictures.